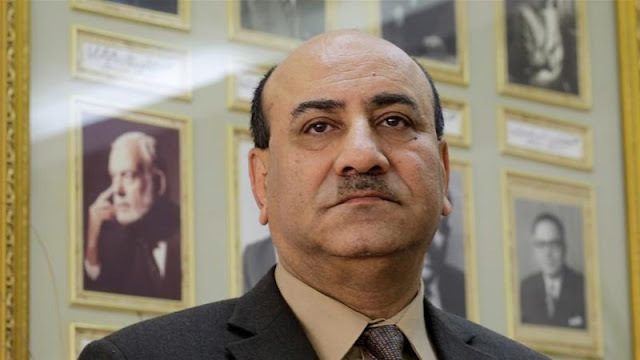 An Egyptian military court has sentenced Hisham Genena, the country's former top auditor, to five years in prison for "spreading news that harms the armed forces." Genena, a top campaign aide to former presidential hopeful Sami Anan, was arrested on February 13 after allegedly threatening in an interview to release "documents and evidence" of corruption in the army's higher ranks if Anan was harmed in detention. Anan, a retired army general, had been detained in January, just three days after announcing his short-lived presidential bid. The trial on Wednesday was contested by Genena's lawyers who argued the case did not fall under the military court's jurisdiction. According to local media, Anan's son accused Genena of slander and was looking to take legal measures against the former chief auditor. A journalist who interviewed Genena, Moataz Wadnan, was also detained on February 23. Wadnan - who admitted to conducting the interview - is accused of fabricating statements and belonging to the outlawed Muslim Brotherhood, charges he has denied. Genena was sacked by President Abdel Fattah el-Sisi in 2016 for allegedly overstating the extent of corruption in Egypt. Before his arrest, Genena was attacked on January 27 during a suspected kidnapping attempt, his lawyers said. Last month, el-Sisi won the presidential elections with 97 percent of the votes, in a vote criticised as a one-man show with no credible opposition. At least six other candidates pulled out, were prosecuted, or jailed, while only other opponent who ran against el-Sisi was little-known Mousa Mostafa Mousa, who entered the race hours before the deadline and whose party had previously endorsed the president. El-Sisi is by law the military leader of Egypt, which in 2015 expanded the jurisdiction of army courts to try civilians accused of acts ranging from attacking state facilities to blocking roads. The practice is seen by critics as another clampdown on dissent by a government that has jailed thousands of Muslim Brotherhood supporters and targeted other activists.